The Cave Music Services What's going on? 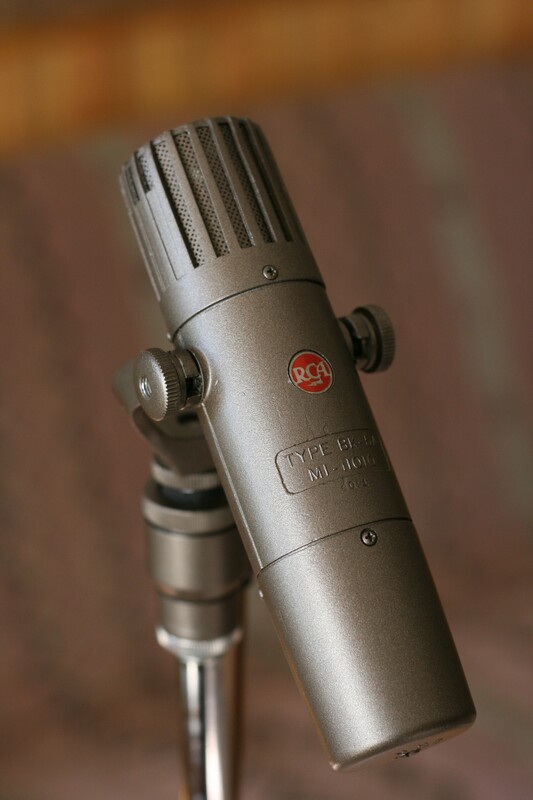 The RCA BK-5A ribbon mike is back in my hands. Here is a before picture, followed by some after pics. 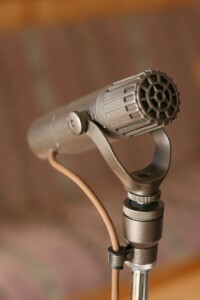 The mike was sanded and repainted to the original colour. 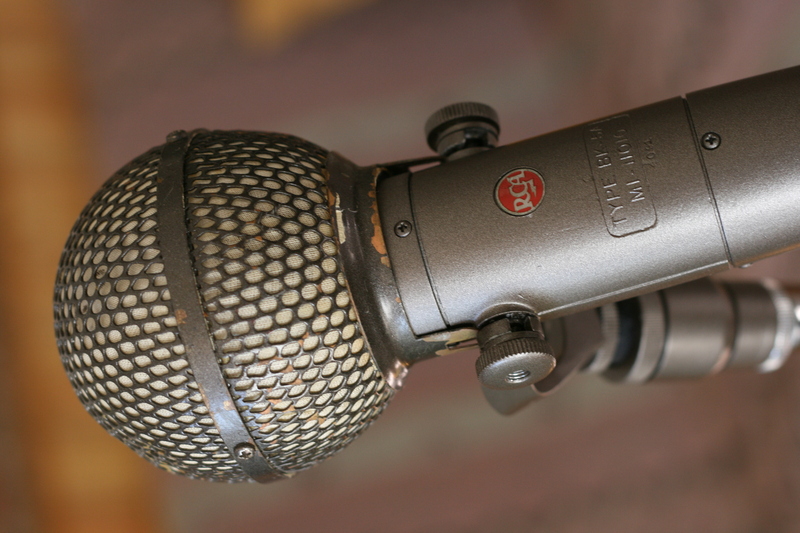 The ribbon was completely missing inside the mike (which is what I suspected - I couldn't find one when I took it apart), so Clarence cut a new one and installed it according to the original RCA specification (size, tension, etc.). He put on a new cable since the old one was cracking up. The little screws were mostly missing, and the ones that were there were stripped, so they were all replaced. 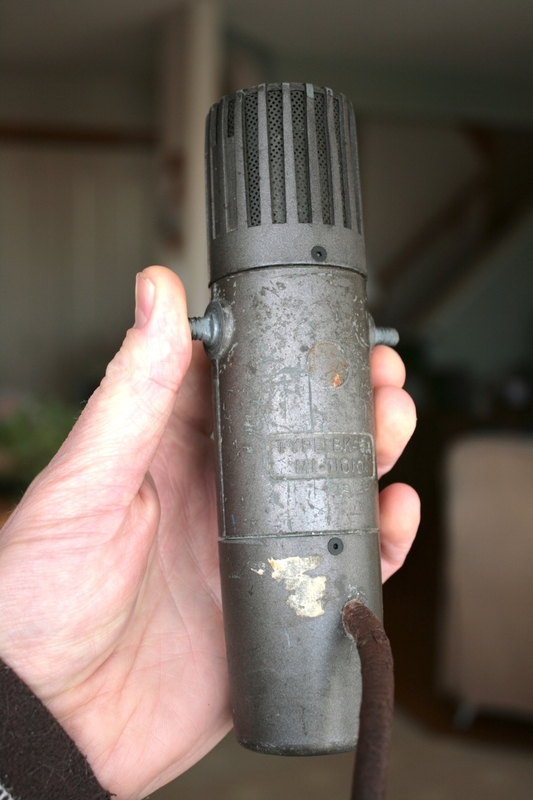 I didn't have the original shock mount, so Clarence supplied a reproduction shock mount that looks like the original. This mount was pretty expensive, but what are you gonna do. He supplied the knurled knobs for the mount, but unfortunately the threads on the mike are kind of screwed up - somebody must have cranked on the wrong size thread. So I'm not sure how to fix that. I had the little RCA medallion and so that is glued back on. It looks pretty good, and now it's time to check how it sounds. Read more on ribbon mikes here. 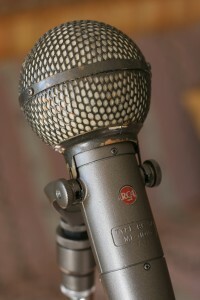 RCA BK-5A with blast screen. Welcome. 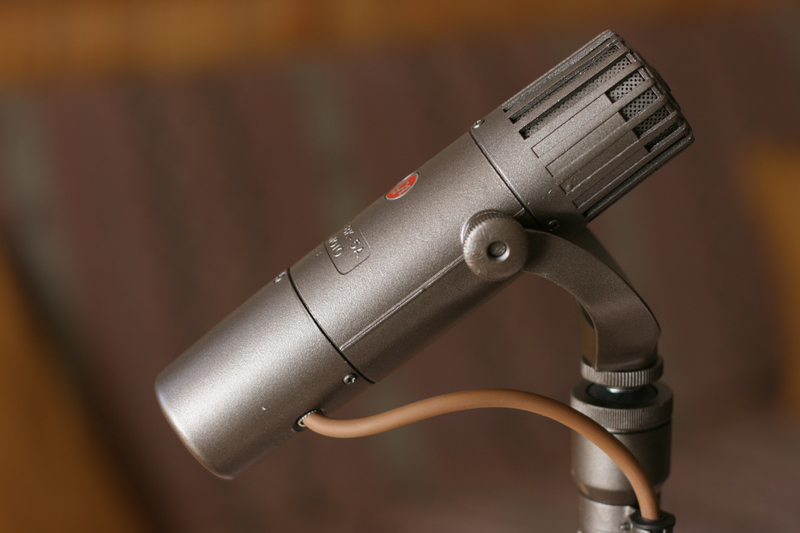 The Cave Music Services is a recording studio in Edmonton, Alberta, Canada. 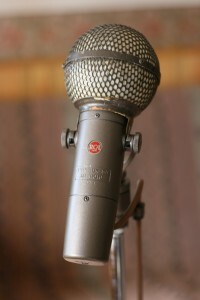 I blog random stuff here, mostly related to music, what's going on in my studio, musical gear, and music-related technology. I hope you find some of it interesting and useful.